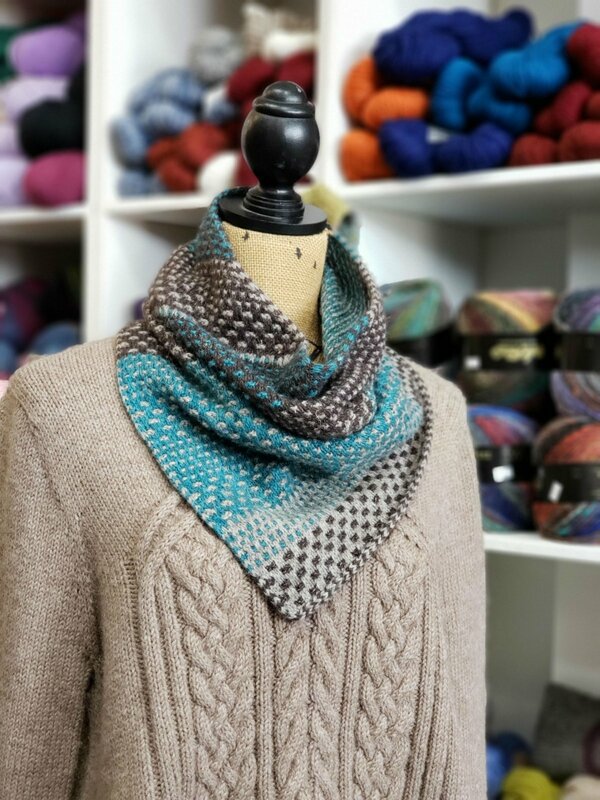 Our current Knit a Long is "The Shift Cowl" by Andrea Mowry. Receive 10% off yarn for the project. You don't have to be present to take advantage of the savings or participate but we'll be working on the project on Saturday afternoons together. Please feel free to share a photo of your work in progress on our Facebook or Instagram page. The pattern calls for a sport weight yarn on size 5 needles. It's always fun to see the variety of choices everyone makes. Join in the fun with us!